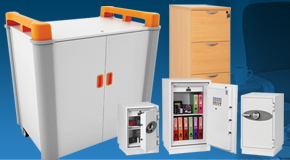 Shelving is a storage essential and our range offers options to suit every application. For larger projects we can offer a free on site surveys and no obligation quote, ensuring we offer the perfect shelving systems for your organisation. 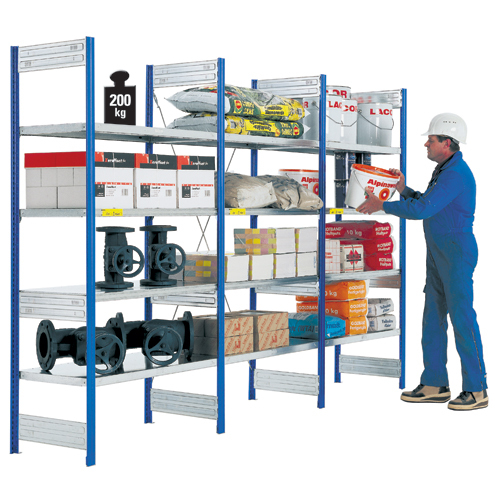 We have a wide range of shelves available, from heavy duty shelving which is ideal for warehouses and industrial environments, to budget shelving that can be used in multiple environments. 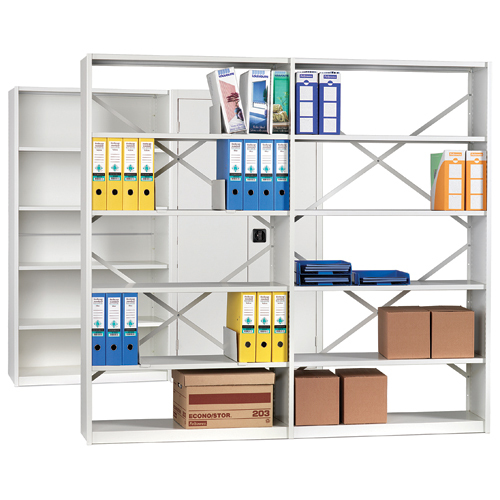 Budget shelving solutions are ideal storage for garages, stockrooms, offices and general everyday use areas. A huge range of our budget shelves are made from boltless designs which is a convenient design that features straight out the box, ready to use shelving systems. 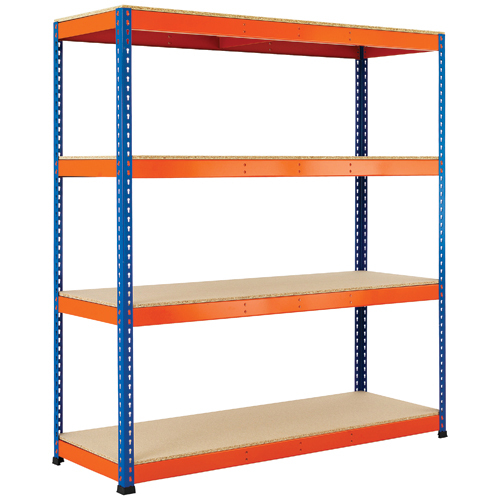 We have a range of size options to select from; starting shelves come available in 2 tier systems and it goes all the way up to 6 tier shelves that can be used in factories and offices. Budget shelves are a cheap, affordable solution for your shelving needs. Heavy duty shelving with boxes are perfect if you are looking to get the full setup ready to use without purchasing boxes separately, which can be a hassle getting the sizing correct. Made using tough steel and chipboard shelving, these shelves come in a range of sizes and options and are all delivered in a complete kit with one delivery. 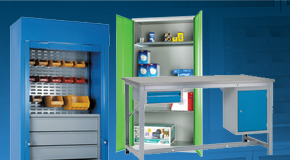 These are perfect solutions for garage shelves, office shelves, retail storage solutions and also commonly used in work places where heavy machinery is around. And they work well with our Euro stacking containers. 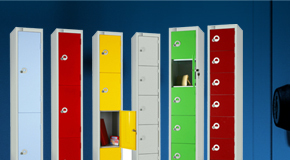 Modular shelving systems are flexible solutions that can be tailored to meet your requirements and needs. Modular shelving units come in a sleek, neat design and can be used in a range of environments. From offices, to gyms and schools and colleges, they stand against the wall taking up as little amount of space as possible. 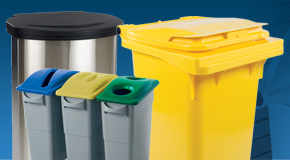 If you have any custom preferences on colours or sizing, we can look to cater your needs. 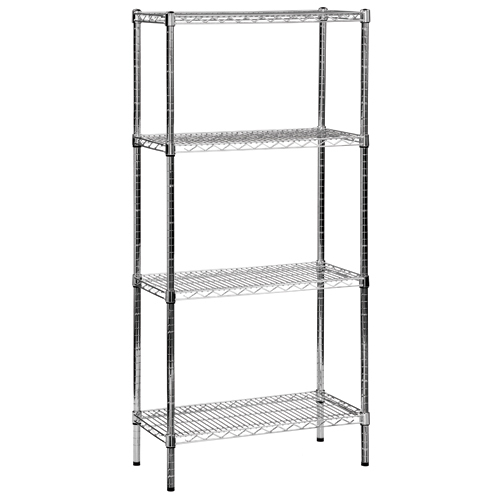 Wire mesh shelving, or also known as chrome wire shelving, are open cut shelving systems that allow easy air ventilation. These are robust, easy to assemble shelves are made using nickel chrome with anti-bacterial coating that stops it from rusting and loosing colour. Wire mesh shelves are commonly used in the food industry, as it keeps storage fresh and ventilated, but it can be used in offices, garages and other commercial areas. 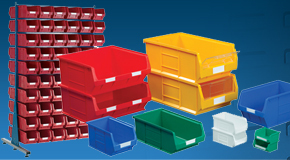 Plastic shelving is a complete hygienic solution for storing your contents. 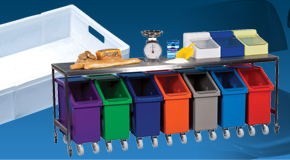 Ideally used in the food industry and used for domestic use such as plastic garage shelving, they are easy to clean and assemble with custom sizes and accessories available to purchase. 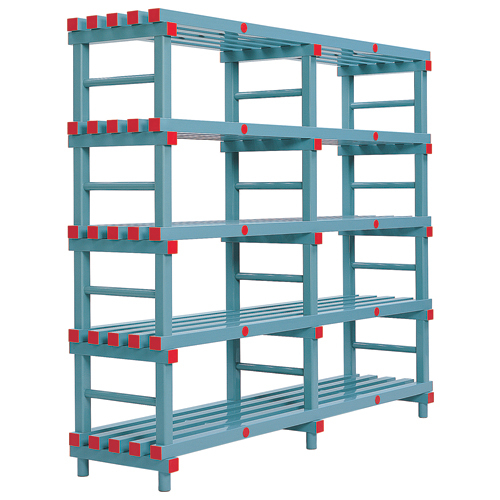 These are heavy duty plastic shelving units that are strong and can handle great weight loads without an issue. Wall mounted shelves are manufactured with storage saving in mind. They are fast and easily to assemble and mount on to walls without any issues. 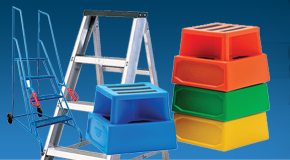 We have them available in a range of sizes and colours, if you give our friendly sales team a call they can walk you through all the options we have available. 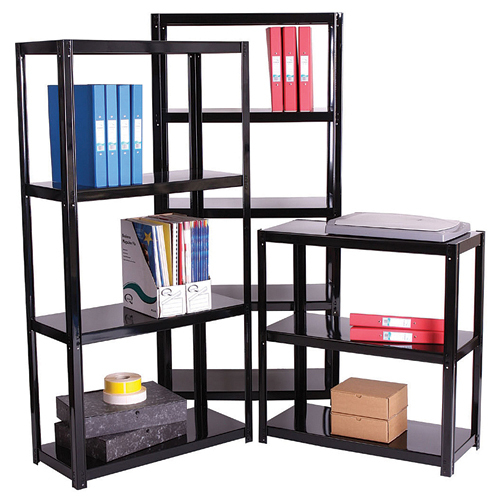 Office shelving units can be used in the work place or for home office shelving usage. They are steel shelves that come coated with antibacterial white powder to stop it from rusting and loosing its colour. We have a range of designs available, from open cantilever design with adjustable feet space to open or glad design, we can help you find the perfect shelving solution that fits your needs. 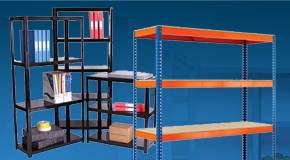 At G Force Europe we have the perfect shelving systems for your every day use. 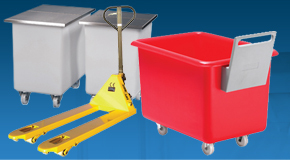 We have free delivery on all are orders (terms and conditions apply) and in most instances we can look to dispatch next day.